The major areas of responsibility of the Business office are finance, personnel, operations, development, planning, and the physical plant. However, the Business Manager assists the Pastor in the administration of the pastoral and business functions of the parish.He works closely with the Pastoral Council, Parish Finance, Building Committee, Strategic Planning, School Finance, School Board, and Building Fund Committee to name a few. The position’s scope includes all ministries, as well as the human and physical resources of the parish. The Business Manager, in addition, serves as a staff resource in support of the Pastor, fulfilling parish administrative needs in finance, building & grounds, personnel, strategic planning, & parish operations. He directs these efforts with technical and legal expertise within the framework of shared ministry in Christian and Catholic values. The Business Office is responsible for the annual budget and all financial reports to the diocese. 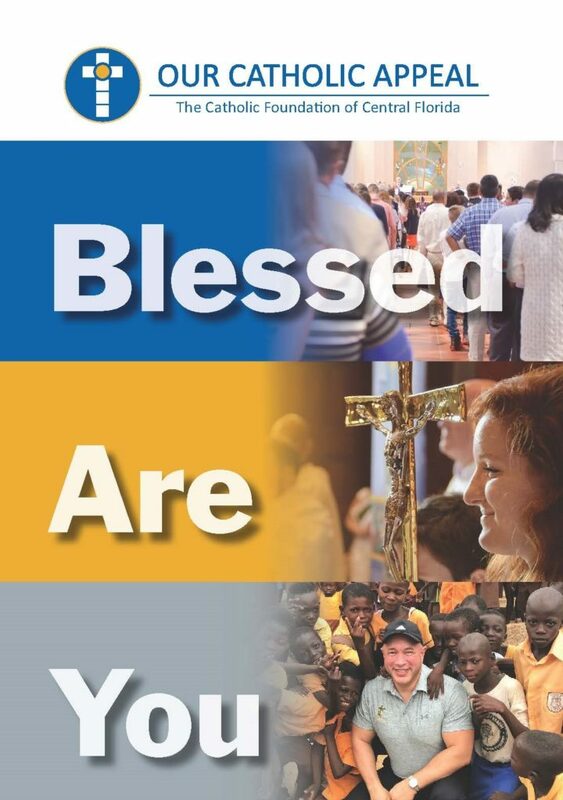 The fiscal year of the parish is from July 1st through June 30th. The budget statement prepared is used as a blueprint. The financial report is a historical document, communicating actual expenditures and balances for the year just completed. All payroll and expenditures for the parish are released from this office. The parish Finance Manager prepares all payroll, and disbursement of invoices. She works closely with the Business Manager on finance. The Executive Assistant is responsible for assisting the Pastor and Parish Priests with clerical duties. In addition, she is responsible for recording marriages, convalidations,sacrament notifications. She also maintains Website and updates parishioners via electronic newsletters. The Church Secretary and the Bulletin Editor are volunteer positions. They are responsible for the operation of the front office and the weekly bulletin. The Church Secretary is also responsible for the accurate keeping of the parish calendar and maintaining parish registration records and volunteer files. She assists with the flow of operations for the parish. The Maintenance Department handles the daily maintenance and upkeep. Plant Management is a responsibility of this department under the direction of the Business Manager. 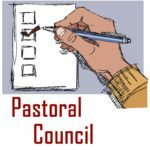 The Pastoral Council is a consultative body implemented to advise, aid and assist the Pastor in all matters pertaining to the welfare of the parish community. It is the responsibility of the Commissioner to maintain a close communication link with the head of each activity, group or organization within the Commission. The Commissioner is also the interface between the Council and the activities to provide advice, counsel and help when needed. The parish is divided into seven geographical areas – each represented by an elected At-Large Pastoral Council Member. It is their responsibility to develop and provide a two-way communication link between the parish and their area parishioners. A Youth Member elected by the Youth Groups represents the youth of the parish. Two members appointed by the Pastor represent the Finance Council and CCTN. The Pastoral Council body has the responsibility to develop and produce the annual “State of the Parish” report and meeting. The Pastoral Council holds a regular meeting on the 3rd Thursday of each month. A Planning Meeting is held to develop the regular meeting agenda. Both meeting dates are included in the weekly bulletin calendar. All parishioners are invited and encouraged to attend and participate in these meetings. The Pastoral Council Area Representatives welcome and visit new families who have registered. 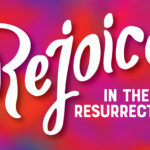 They provide parish infomration and extend the invitation to new family members to participate and join one or more of the parish ministries and/or organizations. The Parish Finance Committee works with the Business Manager to establish a budget for the parish. It monitors monthly expenditures throughout the year and makes suggestions to the Business Manager and Pastor regarding the parish finances. The Pastor currently appoints members with a background in finance. All press releases, interviews and advertising regarding parish and organizational functions are approved first by the Pastor and parish office. This is essential. Although our parish family appreciates any publicity regarding our accomplishments and events, we also realize that it is an important responsibility to provide accurate information. Development is under the guidance and supervision of the Business Manager, providing support for all aspects of development for the parish, school, and CCTN. The manager is responsible for the development, planning, design, and implementation of various fundraising programs; as well as performing the necessary research, outreach, follow-up, and proposal writing to ensure adequate levels of funding.